Melfann's domain: Join the POEMS 2.0 Stock Challenge today! 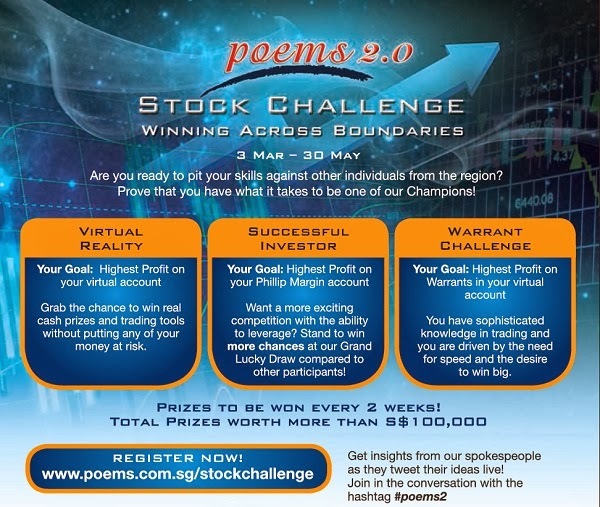 This is an excellent chance for everyone to prove their trading abilities with our POEMS 2.0 Stock Challenge. 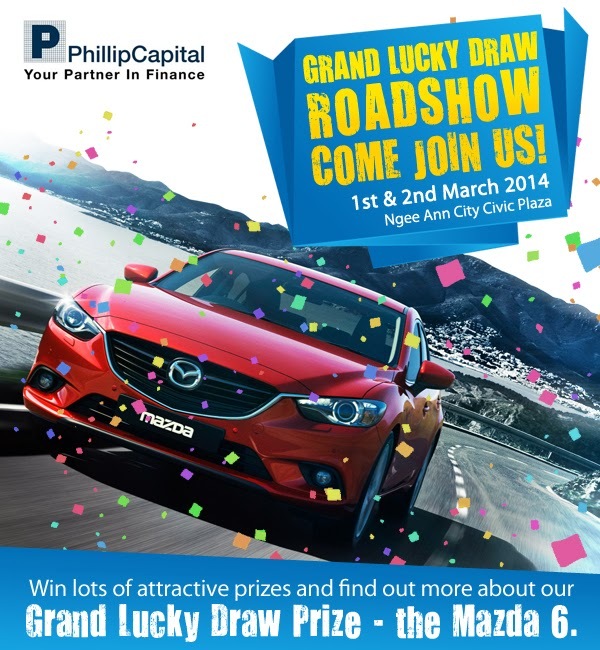 Those in Singapore will get extra chances at winning the Mazda 6* simply by registering for the competition! For those living outside Singapore, do join the trading challenge as this competition is for INTERNATIONAL participants as well! We already have over 2,000 signed up and from countries such as Australia, Malaysia, China, India and even Vietnam! There are 3 categories for you to choose from and you can take part in any 2 (except Virtual Reality & Successful Investor together). The starter kit is really awesome and is worth over S$200 in trading tools. So what are you waiting for? Just sign up...even if you just want an extra chance at winning the car!